Kielder is a very remote area known for its beautiful landscapes with huge man-made lakes and a view of the night sky like you have never seen it before. If you wish to get lost in nature in Northumberland, Kielder Water and Forest Park brings you nature like you have never seen it before. There is so much to do in and around Kielder that you will be spoilt for choice, no matter what your age. 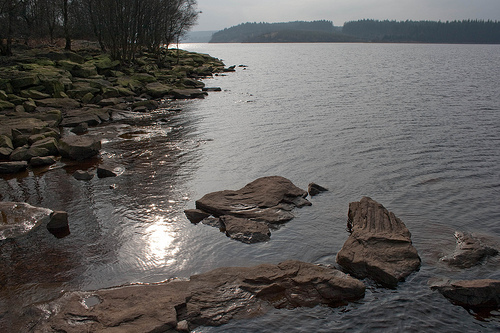 Kielder is the proud home to the largest man-made lake in the whole of Europe and has the largest forest in England. As the park is so remote it offers clean water and air, not yet as affected by pollution as parks closer to cities. Whether you adore nature, want to escape the hustle and bustle, enjoy walking or cycling or just want a holiday with your family, Kielder offers something for everyone. This is a great place to stay to explore the surrounding areas including Cumbria, the Scottish Borders and Hadrian’s Wall, all within driving distance. If you wish to stay in Kielder Water and Forest Park, there are many adventure activities including water sports and horse riding. If you want to do something different, Kielder is also home to Ospreys which are magnificent to watch in their natural habitat. Kielder has won awards for its stunning dark skies within the park, keeping the skies free from pollution of any kind. This means you can experience the night sky in its full beauty, seeing every one of the stars. It is thought that around 85% of the population of the UK has never seen a true night sky due to pollution, so it truly is inspirational to see. Kielder Water and Forest Park has its very own observatory with interesting and educational events held throughout the year, great for adults and children! If you wish to attend one of Kielder’s many stargazing events it is best to come within the Autumn and Winter months. Due to the lack of pollution you can also expect to see a variety of wildlife in the parks including bats. Whether you wish to stay in the park or in Northumberland, there are many hotels, B & B’s and campsites close by. If you have a caravan you may want to stay on one of the camping sites in the park. Kielder Water and Forest Park are home to luxury lodges on the waterside. There are many facilities on site that are great for families including children’s play areas, a restaurant and bar with a fabulous view of the waterside and a swimming pool and sauna. Guests staying at the lodge also get access to all the Go Active sessions including archery, fencing and snorkelling. If you really want to make a holiday out of Kielder Water and Forest Park, staying on site gives you access to some of the most amazing views and fun activities for the children.